ANDROID System can support all function in the description. iphone: There is no app for Iphone because IOS didn’t open it. So below four functions can’t sync with iphone,But all other function can use normally because no need to use app. 1. Anti-lost 2. Messaging 3. Notifier 4. 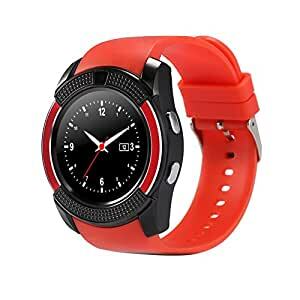 Remote Camera All market bluetooth watch are like this.